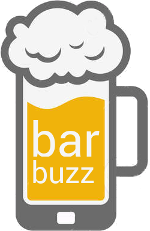 I’m Andy Barber, Android Developer & bartender at Barbuzz. Feel free to pull up a chair and read the blog or check out the portfolio over a beer. Here I hope to share my thoughts on Android development and any other interesting tech stories I come across over time. Check out the apps I’ve developed and been apart of in my portfolio. I currently live & work in Bristol but originally come from sunny Cardiff in the amazing country that is Wales.